The Yale YRD226 Assure Lock is a Z-Wave door lock that integrates a door into a smart home set up. A user can control the device to lock or unlock the door much like they would for any other Z-Wave device. This includes creating smart scenes. Protect your home with the Yale YRD226 Door Lock. The Yale YRD226 Assure Z-Wave Deadbolt Door Lock is designed to replace any standard door lock so that the user can lock or unlock the door using wireless Z-Wave commands. The door can also be locked or unlocked from the device itself by entering a valid code into its touchscreen keypad. As a deadbolt door lock, the Yale YRD226 meets Grade 2 Deadbolt Operational and Security Standards. This makes it effective for replacing almost any standard door lock and giving the user greater smart home control. The lock can be easily paired with most Z-Wave controllers. 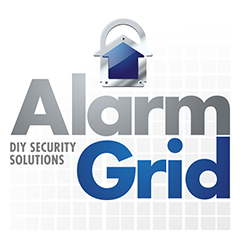 If it is set up with an alarm system that has access to either Total Connect 2.0 or Alarm.com, a user will be able to check the lock's current status and control the device from virtually anywhere. An interactive service platform can also be used to send the user notifications regarding any activity. By setting the lock up with a Z-Wave controller, a user will be able create up to 250 unique codes for use with the lock. The codes can be assigned anywhere from four to eight digits, and they can be set up using the lock itself. The device also includes a weather protection gasket, single-touch locking capabilities, backlit numbers, a privacy button and a tamper-resistant back cover.